This is not your grandfather’s econ textbook. Nor is it an exercise in ideological spin or neoliberal bashing. In both style and substance, Core-Econ (the name for the Core Project's website) shakes off the dreary norms of conventional economics and embraces the critical intelligence of the real world. Savor the delicious paradox that The Economy is published as an interactive ebook available for free downloads (pdfs) and printing. 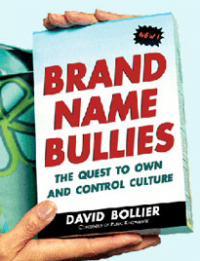 It is published under a Creative Commons Attribution, NonCommercial, NoDerivatives license, demonstrating that a free lunch is entirely feasible (at least for non-rival goods like books). So far, ten of the twenty-one planned teaching modules have been published online; the remaining ten modules are expected to be completed by the end of 2014. At the moment, the online version is available as a “beta” release, which means that anyone can submit feedback and suggestions to improve the text before its release. Unlike conventional economics textbooks, which set forth axiomatic principles that supposedly govern an entire field of economic life, the Core-Econ textbook is a big fan of empirical realities, behavioral evidence and economic history. This textbook does not treat economics as if the past were irrelevant or as if the Universal Truths of Neoliberal Economics make societal institutions marginal. The Economy sees economics in its rich, complicated historical context. For example, it boldly addresses the importance of property rights arrangements, bargaining power, and distributional fairness issues. 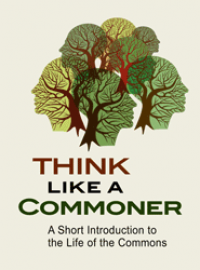 While there is passing reference to the “tragedy of the commons” – natch – the Hardin parable is not the only mention of the commons. There is an entire section on fairness and reciprocity, and prominent mention of Elinor Ostrom, the political scientist whose empirical rebuttals of the “tragedy narrative” won her the Nobel Prize in 2009. 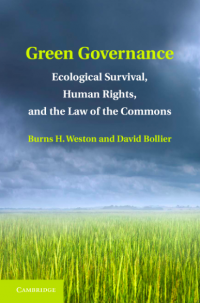 This chapter even cites two of Ostrom’s major essays -- “The Challenge of Common-Pool Resources,” in the July/August issue of Environment, and “Collective Action and Social Norms,” in a 2000 issue of The Journal of Economic Perspectives. Impressive. 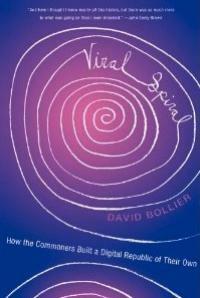 I would have welcomed a deeper plunge into the commons, which Core-Econ seems limited to Ostrom, social norms and reciprocity. 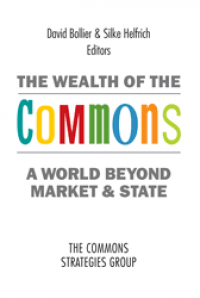 For example, there are many contemporary developments such as commons-based peer production, urban commons, and social and indigenous and subsistence commons, that deserve attention. It would have been great if certain economic terms of art like “public goods” and "self-interest" had been unpacked to probe their ontological assumptions. For example, there are now tech companies and virtual communities creating “public goods,” but these "public goods" have a rather different character than lighthouses and highways. And why can't we begin to understand "self-interest" as more than the opposite of "altruism"? Many commoners regard this is as a false dichotomy because both selfish interests and caring for others can be brought into artful alignment through a commons; personal and collective interests need not be considered polar opposities. 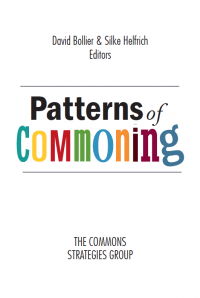 As someone who has tried to write a short book on the commons, however, I am all too aware of the practical difficulties of being succinct and focused, which is certainly what an introductory textbook must be. So perhaps I ask too much. I have not read the entire Core-Econ book (it is still only half-completed and in beta version), and hell, I’m not a card-carrying economist in any case. So perhaps I should temper my judgments for now. Still, as as commoner who routinely encounters the zaniness of standard economic thinking all the time, what I’ve read so far in The Economy is a breath of fresh air. I loved how Chapter 4, on “Strategy, Altruism and Cooperation,” concludes its section on fairness by noting “Many other species [besides humans] show altruistic behaviors, including monkeys and dogs.” It proceeds to reference to a provocatively titled research article in Nature, “Monkeys Reject Unequal Pay.” Now there’s a piece for the Council on Economic Advisors to ponder! Besides the refreshing content, The Economy uses some formatting innovations that take full advantage of the digital world. There are many interactive graphs and diagrams, and the text often has links to videos. Throughout the course, you can test yourself. You can highlight portions of the text and put notes on the text. You can even download an app to let you read the book on a mobile device such as your smartphone. There are free, printable versions. So who is responsible for this refreshing new approach to economics education? The “Steering group” for the CORE Project consists of Wendy Carlin, director of the Project and a professor of economics at the University College London who has written extensively about macroeconomics; Samuel Bowles, who heads the Behavioral Sciences Program at the Santa Fe Institute, a renowned center for the study of complexity theory; and Oscar Landerretche, who heads the School of Economics and Business at the University of Chile. Roughly twenty other economists from five continents are contributors to the CORE Project course material. The CORE Project draws upon institutional partnerships with the Azim Premji University Bangalore; the School of Public Policy at Central European University; the University of Oxford Economics Department; Sciences Po in Paris; the University of Sydney School of Economics; and the University College London Economics Department. Wow, a fresh set of voices in the study of economics that go well beyond the holy dogmas of Samuelson, Nordhaus, Bernanke and Mankiw. The open tone is wonderful. Instead of presenting its analysis as the Voice of God, The Economy considers itself an evolving inquiry subject to community revision. It welcomes feedback from readers. It won’t just tack on a “recent developments” appendix at the end; it will revise the chapters themselves in light of new developments. 1. What is economics about? 2. Who are the main economic actors? 4. How can public policies improve economic performance? 5. How do economists produce knowledge? This textbook is a self-confident, critically minded, innovative project that seeks to rescue economics from its own hubris and parochialism. It welcomes the latest findings. It wishes to probe persistent uncertainties. It boldly uses new technologies and encourages inclusivist sharing of the book. It defies the homo economicus model of human behavior in using Creative Commons licensing to challenge the predatory pricing norms of commercial textbooks. I recently learned that the canonical Samuelson & Nordhaus textbook now sells for $250 on Amazon. Ridiculous! I predict that studies will soon show that even monkeys reject such brand-driven exploitation of captive students. I say: Hail Core-Econ! Let’s hear it for a new era in economics pedagogy!